If you’re trying to figure out if you have the personality needed to be successful at blogging, then this post is for you! 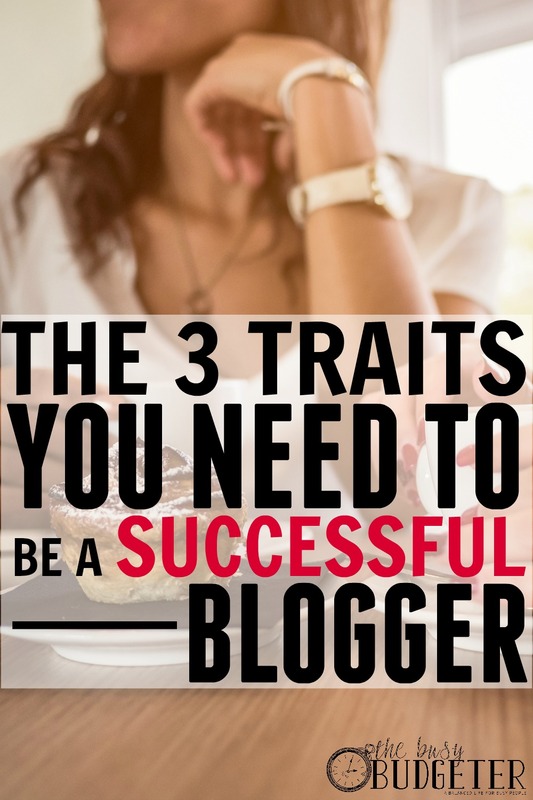 I’m going to walk you through the most common traits that successful bloggers have. As I walk my best friend and my sister through starting and growing their own blogs, the question of personalities comes up pretty frequently. Do some people just have the right personality to be successful in blogging and others don’t? Blogging as a business is one of the most incredible jobs in the world. It gives you freedom beyond your wildest dreams, no cap on your income potential and lets you make a living doing something that never feels like work. 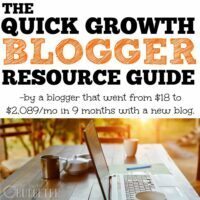 You can start a profitable blog for as little as $3.95/month, making it one of the cheapest businesses to start with almost no initial capital investment. In fact, it only has one little downside. You have to work for free to get going. It can take months, or even years to build a platform large enough to make a full-time income from it. I’m a blogger that’s considered to have taken the fast track. I grew from $18/month to full time income on a new blog in 19 months. I achieved my version of “full-time income” in just 10 months ($2,300). While I certainly hadn’t planned on that level of success, I had planned to grow to full time within a year. 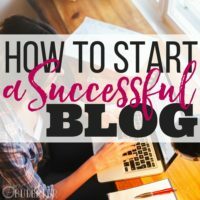 I invested every dime I earned up to $1,000/month back into the business and worked diligently in that time period in order to build the blog quickly. You can get step by step instructions on what I did to start a profitable blog here. I acted a lot on faith with a punch of tenacity mixed in. How do you know if you’d be good at blogging before you spend weeks and months trying to build a profitable blog, though? Is it possible to tell ahead of time? As I was pondering this for a while, I realized that I saw a lot of “repetitive traits” in the most successful bloggers that I know. I had planned to outline them in a post but then I took it a step further and reached out to the most successful bloggers that I know, each making more than $5,000/month from their blogs. I asked them for the top three traits that made them a successful blogger. The results were pretty inspiring. To start us off, I’ll share the repetitive traits that I kept seeing over and over in all of the successful bloggers that I know. Being able to read people. The most successful bloggers that I know are able to understand what motivates people to do something. That helps them both create content as well as market their content and products. My job as a blogger is simple. I solve my reader's problems. Need to know how to effectively budget? Done. Need to stop going over your grocery budget? Done. Everything I write is a solution to your problem. Every affiliate that I promote is a solution to your problem. Being able to identify and understand the problems of your target audience and then come up with actionable solutions will make you a very good blogger. I never give up & keep trying until I get the results I want. I’m not afraid to be vulnerable and imperfect with my readers. Their frustrations are the same as mine! I ask for customer feedback all the time, I listen and make adjustments based on needs of customers. I also work hard to stay ahead of trends in both the online marketplace and consumer behavior. The ability to connect with readers through a camera lens, both through social media and within courses and product features. The ability to plan, systematize and execute on multiple projects and products at the same time. I do my best to make it fun! You can pretty much guess what a site about finance is supposed to be like, and I try my hardest to go the opposite 😉 I don't want you to fall asleep while you're learning – I want you to smile! I try to write as real and honest as possible. Blogging to me is all about the rawness and transparency of ideas and thoughts, so sharing the *bads* along with the goods is super important (and helps readers relate a lot more too – we all know not everyone's perfect). My ability to define what success means for me and map out the steps needed to get there. I'm a firm believer in the “rising tide” approach, so I work with my “competitors” to mastermind and share best practices daily to see us both succeed. I wouldn't have been able to sustain my progress if I wasn't absolutely obsessed about the topic of personal finance. Personal finance is known to be boring, but I try to be relatable and fun in all of my blog posts so that I can improve the financial lives of my readers and have them be more interested. I am extremely passionate in my blog and the topics that I cover. I believe this helps when blogging because readers can see your passion in your work. If you don't love your work, then how would you expect readers to? I always try to find new ways to help my readers. I listen to what they want, find new ways to reach them, publish blog posts on topics they are struggling with, and more. It took me 2 years to start making any kind of actual money. Being constantly motivated to improve yourself and your skills is vital. 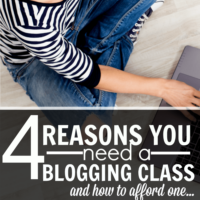 The blogging world moves quickly and if you aren't willing to learn new things or grow your writing or photography skills you won't break through the ceiling to a full-time income. I would not be able to do this job successfully if my husband and children were not supportive. I have always loved to read and learn. That's such a necessary trait in the blogging world as things are always changing. Technology is constantly advancing. New social platforms are coming online every day. Even advertising has come a long way since I started online several years ago. No matter how good you get, there's always room for improvement. More bloggers quit than succeed in earning a full-time income from their blog. No matter how rough things got or how the rollercoaster dipped, I didn't give up. You never know if your big break is just around the corner. One more email, post or day may be all it takes. Willingness to get out of my comfort zone. I'm an extreme introvert by nature. It's one of the reasons I started working from home in the first place. But, as a blogger, you've got to put aside your fears and put yourself out there. Amazing things are waiting just out of your comfort zone. Take that step and see what's out there. Having patience (this doesn't happen overnight). Learning how to pitch and get media mentions. Successful bloggers never give up on their dream. Instead of giving into frustration, they keep moving forward with their plans until they finally succeed. Lots of bloggers don't really “make it” until they have existed in the online space for several years. What keeps those bloggers going when they haven't yet reached success? Persistence! A lot of people think you don't need to network if you work online, but that couldn't be further from the truth! Most successful bloggers build relationships with other bloggers who have similar goals. Bloggers help each other and collaborate, and that helps everyone over time. It's easy to want to quit when your blog is six months old and your only regular reader is your mom. This is where a positive attitude goes a long way. By thinking positive and pushing through the hard times, you can come out the other end with a sincere appreciation for where you've been. Plus, you really need to believe you can “make it” for that dream to come to fruition. A positive attitude is essential for bloggers who may not get a lot of feedback at first, but still need to perform and create content regardless. There's a lot of pressure to follow the crowd among bloggers, but this has never worked for me and wastes a lot of time. Instead, I make a long term plan and stick to it. I care about my readers and they know it! Connecting with readers is the best part of my day. Know what to spend money on and when to be frugal. I'm not afraid to spend money on quality training or tools, but I'm more conservative when it comes to equipment and outsourcing help. Making sure I don't let the results affect my effort. I'm always trying new things, whether it's blog topics or distribution networks, and sometimes they work out, sometimes they don't. I learn from those experiences and make sure I keep working hard every day. I decided early on that I would spare no expense to provide tools and resources on my site that were unique and helpful. That’s why I give sample life insurance quotes with no personal information required, and why I’ve spent thousands on tools like my Term vs. Whole Life Insurance Calculator. In many cases, my commitment to helping my visitors has even lost me traffic. If I see a competitor has a better resource on a particular topic, I don’t shy away from linking to my competition. As long as I have kept my visitors’ needs for help as my #1 priority, my site has continued to grow. I’m not one of these webmasters who checks his stats every day and worries about dips here and there. I know that if I provide top quality content that truly solves problems, that traffic and leads will follow… and they have! Everyone is writing these days about how to work a “4 hour workweek” or how to create “smart passive income.” I love and follow many authors and bloggers writing about marketing and entrepreneurism, but there is absolutely no substitute for hustle. In the early days, I can remember staying up until 3 or 4 in the morning writing and sending outreach emails for backlinks. I did it all the time. 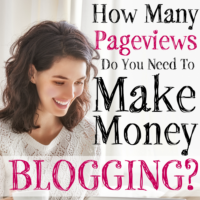 I was willing to do whatever it took to make my blog succeed. Zig when everyone is zagging. It can be said if everyone is doing something then the market for that product or service might be oversaturated. Sometimes it’s better to do what other’s aren’t doing. Add more value than others in my niche. Not a jack of all trades. Create a specific niche and focus on it only. Writing is a skill that takes practice. I'd been writing consistently for 4 years BEFORE ever trying to turn it into a “professional” blog because it's something I enjoy doing as a creative outlet. If you're going to blog, you have to love creating content and the daily/weekly practice of writing. Focusing on turning readers into email subscribers. A website visitor is great, but it can be fickle. They may come back or they might not. If you can get their permission to land your message in their inbox, that's a more intimate relationship and one that has helped dramatically increase my blogging-related income. What that looks like in practice is having multiple opt-in forms per page, and making liberal use of “content upgrades” — opt-in offers related specifically to the content of the page. It can be something as simple as a checklist, action guide, or even just a PDF version of the post if it's a really long epic article. My favorite free list growth tools are SumoMe and Magic Action Box. My best-performing paid tool is LeadPages. I thought of myself as a writer first, but as an experiment, I started a podcast around the same time I re-focused/re-launched my blog. To my surprise, the podcast has become my #1 channel of discovery and the biggest growth driver for my business. The advantage of podcasting is iTunes (and other audio directories) are smaller oceans to swim in than Google, meaning there's less competition, and on top of that I believe a listener is more valuable than a reader. If someone is going to spend 30 minutes with you in their earbuds, that's a much higher level of engagement than someone skimming a blog post for a couple minutes. But perhaps the most important tip of all is to be genuinely useful. A friend of mine once said people only use the Internet for two things: to solve a problem or to be entertained. What problem does your blog solve? Being willing to put myself out there. Blogging is a slog and you have to stick with it for at least 2-3 years regardless of whether anyone is reading your posts. You have to publish on a consistent schedule so your readers know what to expect. But the most important factor is being willing to go out and network with other like-minded entrepreneurs. My blog didn't turn the corner until I started attending conferences and reaching out to other bloggers. My online success has come from a combination of work ethic, flexibility, and positivity. If I hadn't put in the time, I wouldn't be working for myself full-time, and the flexibility and awareness of seeing a need in the community helped me build my business and quickly adapt to new customer requests and challenges. Start with the premise of helping people with real trouble and issues – if you can help them and give, it will always come back to you. Listen to audiobooks while walking, online interviews on successful businesses, etc. Each little tip gets you a nose closer to success! Worked for me! Pay for quality training and coaching. Derek Halpren's courses are expensive, but they work! My internet marketing coach is pricey, but working with his mastermind group and paying for it put me in a stratosphere with people who make 17k-30k, whom I am able to ask for business advice every single day. Being open to paying for quality guidance to save time and money has been the deal breaker. I started out as a blogger but now I am a real estate investing coach. When your blog becomes a business, your title should and will change with it. I saw a lot of traits being repeated over and over in those examples… and I wholeheartedly agree with almost all of them. Do you have any to add? What traits do you think carry over well to a successful blogging business? So much wonderful advice from so many experienced and successful bloggers! Thanks for putting this together. I love reading all the motivating advice. I love that I keep managing to stumble upon just the right post at the right time in my very new blogging adventure. That’s true! And I definitely meet that criteria! As a newer blogger, I found this post to be very inspirational. I see that perseverance is listed quite often and I’m definitely in the stage of knowing that I just need to hang in there until my readership grows. I love writing my blog so much that I don’t mind waiting a while for everyone to find me, though! Great post and awesome advice from these successful bloggers I can only hope to be someday. Found this post on a day when I needed a little push to keep hitting ‘publish’. Visiting from Show + Tell party. A lot of great tips. Thank you for sharing with us at #HomeMattersParty. We would love to see you again next week. Thank you Rosemarie for the awesomee article. It’s eye opening, helpful and very encouraging! I’m new to the blogging world and aspire to be like you someday.